TORONTO, Canada, Aug. 30, 2014 – The U.S. women won the team title at the 2014 Senior Pan American Championships at the Hershey Centre in Toronto, Ontario, Canada. 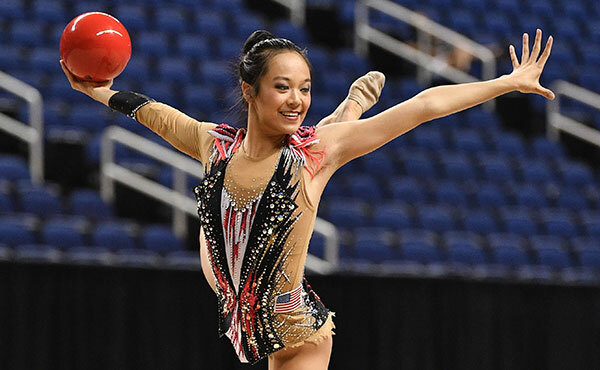 MyKayla Skinner of Gilbert, Ariz./Desert Lights, captured the all-around gold medal and Maggie Nichols of Little Canada, Minn./Twin City Twisters, was the bronze medalist. 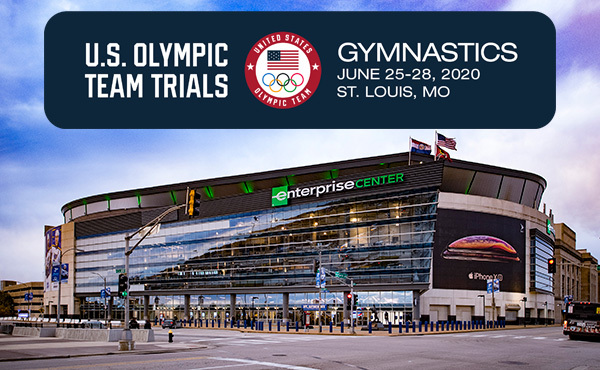 The event, which serves as the qualifier for gymnastics to the 2015 Pan American Games, has the individual event finals on Aug. 31 and Sept. 1 at 2:30 p.m. 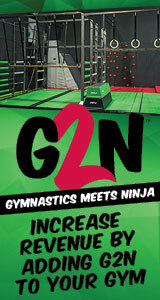 Fans can catch the action via a live webcast provided by Gymnastics Canada. The U.S. women tallied a 223.700 in the first subdivision and held on to easily claim the team title. Brazil was second at 216.950, with Mexico rounding out the top three at 210.700. In the all-around, Skinner posted a 56.850 to finish two-tenths ahead of runner-up Jessica Lopez of Venezuela, who earned a 56.650. Nichols’ 55.500 earned her the bronze, however she withdrew from the rest of the competition due to a strained knee. The remaining members of the U.S. 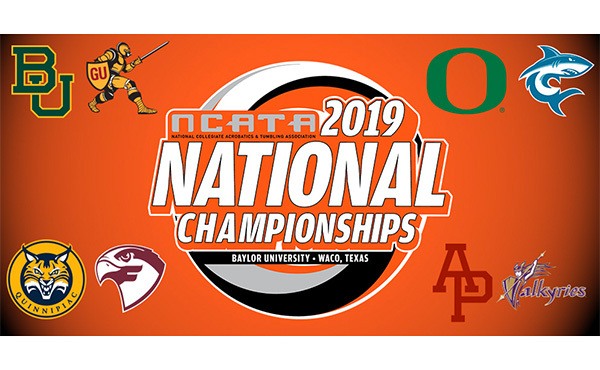 Team are: Madison Desch of Blue Springs, Mo./GAGE; Amelia Hundley of Fairfield, Ohio/Cincinnati Gymnastics; Madison Kocian of Dallas/WOGA; Ashton Locklear of Huntersville, N.C./Everest Gymnastics; and Felicia Hano of Costa Mesa, Calif./Gym-Max Gymnastics, the alternate. 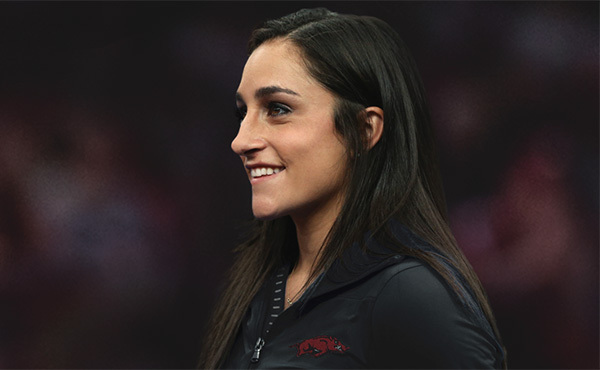 The women advancing to the individual event finals are: vault – Skinner; uneven bars – Locklear and Kocian; balance beam – Kocian and Skinner; and floor exercise – Skinner and Desch. Skinner had the top vault and floor scores, and Locklear and Kocian had the two best bars scores, respectively. Kocian also had the best beam mark. The men competing in the individual event finals are: floor exercise – CJ Maestas of Corrales, N.M./University of Illinois, and Sean Melton of Orlando, Fla./Ohio State University; pommel horse and parallel bars – Marvin Kimble of Milwaukee, Wis./Swiss Turners, and Melton; still rings – Jonathan Horton of Houston, Texas/Team Hilton HHonors (Cypress Gymnastics), and Brandon Wynn of Voorhees, N.J./Team Hilton HHonors (U.S. Olympic Training Center); and parallel bars – Kimble and Maestas. 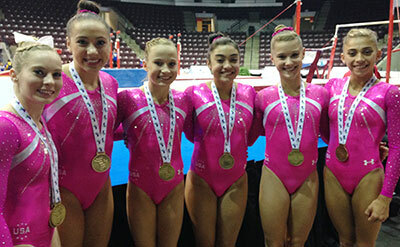 The U.S. women started on the uneven bars, where they earned a team total of 57.850. Locklear had the USA’s top bars score with 15.000. The other team scores were: Skinner, 13.850; Desch, 13.600; Nichols, 14.250, and Kocian. For the balance beam, the U.S. team totaled 55.500. The individual scores were: Skinner, 13.750; Hundley, 13.200; Desch, 13.100; Nichols, 13.950; and Kocian, 14.600. On floor, the women’s scores were: Hundley, 11.650; Desch, 13.450; Nichols, 13.700; and Skinner, 13.950. The team score was 52.750. Finishing up on vault, the U.S. women’s individual scores were: Hundley, 13.950; Desch, 14.750; Nichols, 13.600; and Skinner, 15.300. The team event score was 57.600. 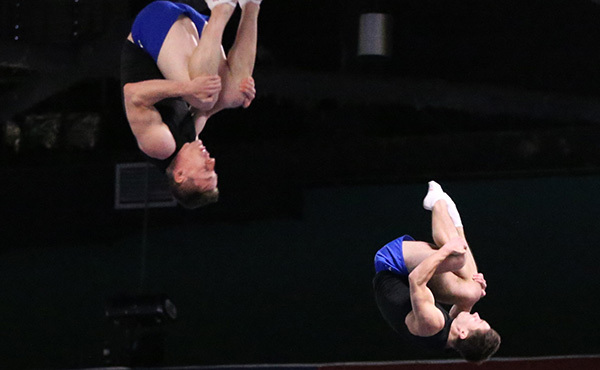 Yesterday, the U.S. men won the team title and Melton was third in the all-around. 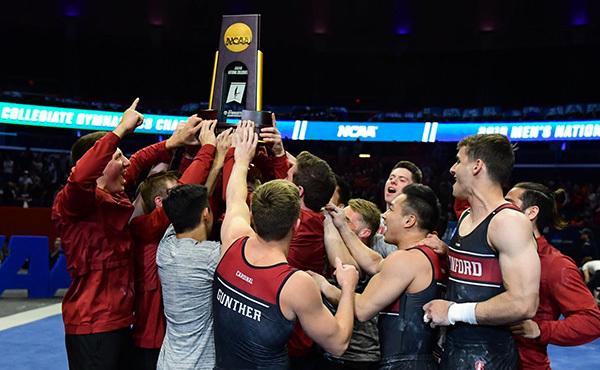 Eddie Penev of Penfield, N.Y./Team Hilton HHonors (Stanford University), was injured, and the alternate is Akash Modi of Morganville, N.J./Stanford University.